The Plot Twist is a new Hungarian / Italian pop-up, focusing on charcuterie and cheese, and also wine from both countries. This Halloween The Plot Twist presents a laid-back atmosphere food and wine event at Clapton's Palm 2. Walk-ins pay for what they order, but you can also book for £19.99 to receive a bottle of Tokaji Furmint for 25% off. 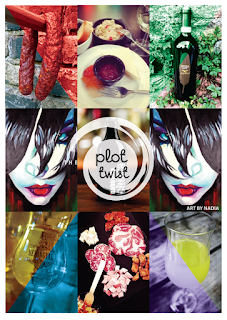 "The Plot Twist continues its East London journey with a Halloween night pop-up. For this special night we will bring our favorite charcuterie boards featuring The Plot Twist's special dried sausage (kolbasz) from Budapest along with Salame di Felino, Gorgonzola, Pecorino, Parmigiano Reggiano cheese and some mighty good pickles (and candle lights of course). In addition, an amazing selection of Italian and Hungarian wines will be available by the glass or bottle. Beer lovers will be also amazed by our selection of Birra d'Amare crafted beers from Rome. We highly recommend that you start this night with a shot of Hungarian fruit palinka and finish it with an ice-cold limoncello. No fancy clothing (costumes welcome though) or formality needed...all you can expect is a chilled, laid-back environment and a proper Plot Twist."